"Do you wanna go for lunch? ", asked Rich Guy over MSN. Do dogs sniff their rear ends and lick their balls? Uh, could there be a more rhetorical question? However, the place he suggested made me draw a blank. 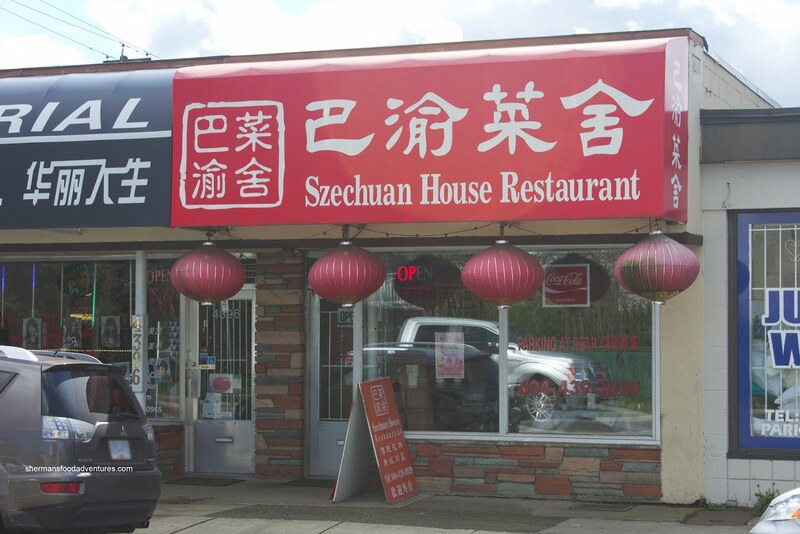 "Szechuan House near Metrotown, you know on Imperial...", he tried to explain. I thought he was referring to the place right next to Alvin Garden, but nope, it was closer to Beautiful Island. When I told Viv about it, she was in disbelief as well. She was trying to jog my memory about this place we've passed by many a time. Hey, I love food, yet I never said I knew everything! Nervously, I replied yes. Why the apprehension? Well, th e place is known for its authentic spicy Szechuan cuisine and that didn't sound like something my kids would enjoy. No worries, we were sure that they'd have some noodle dish that was not spicy. Besides, Viv and I both love spicy so it would be a tasty meal for us. One of their specialties is Boiling Beef, otherwise known as the "Stir-Fried Beef in Full Special Sauce, Top Finished w/Chilli Oil" on their menu. WTF? I would've never figured out what dish they were talking about by reading the menu name. Whatever the case, we were able to order the right dish and it was a pretty big portion (it'd better be for $15.95!) with lots of tender beef. 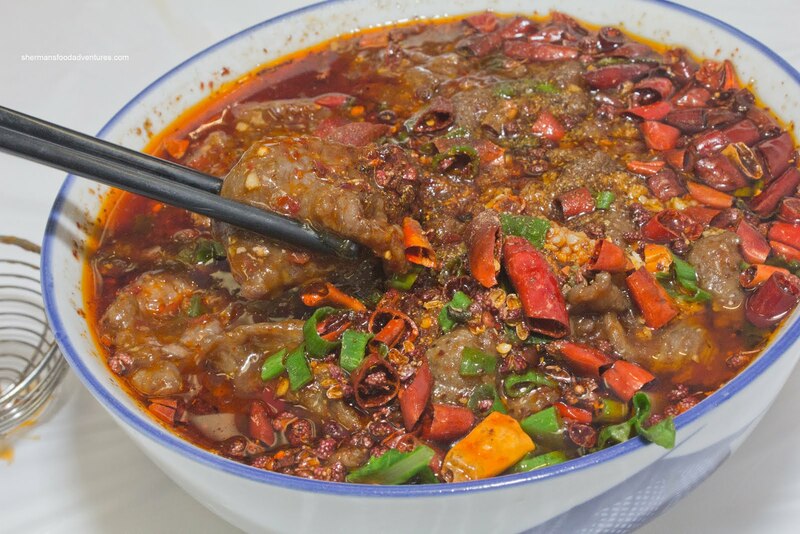 This spicy concoction was seemingly composed of an entire bottle of chili oil with plenty of chili pepper and Szechuan peppercorns. The result was a tongue-numbing experience. For those who don't like spicy food, just don't bother because this would blow your tastebuds away. For me, I thought it was a good compromise between spicy while still being able to taste the other ingredients. 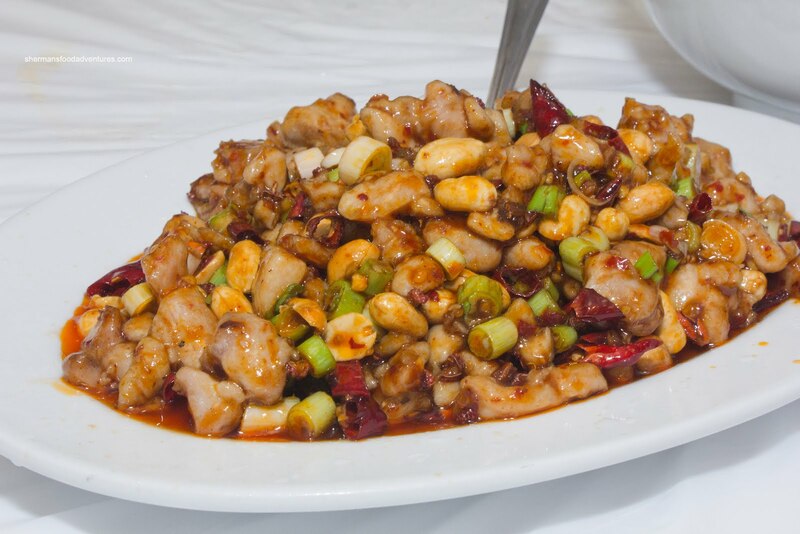 Normally (in North America), Kung Pao Chicken is more of a mild-tasting, sweet, syrupy dish. The one we had was nothing further from that. This authentic Szechaun version had tender pieces of chicken (that were not battered and fried), red chilis and roasted peanuts bathed in a fairly spicy sauce featuring a good hint of black vinegar. Hence, despite the inherent tongue-blasting spice, there were complex hits of sweet, tang and savoury. 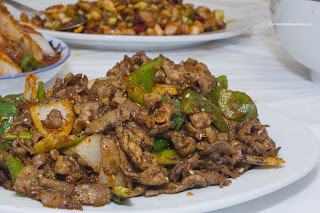 Another classic dish we couldn't pass up was the Cumin Lamb which Rich Gal and I lobbied for. As the name suggests, there was a considerable amount of cumin which was flavourful while not overwhelming. I thought it helped temper any gaminess which Rich Guy and Viv were worried about. Comparatively, this was a mild dish with only a hint of spice. Although the lamb was tender, it was slightly on the drier side. 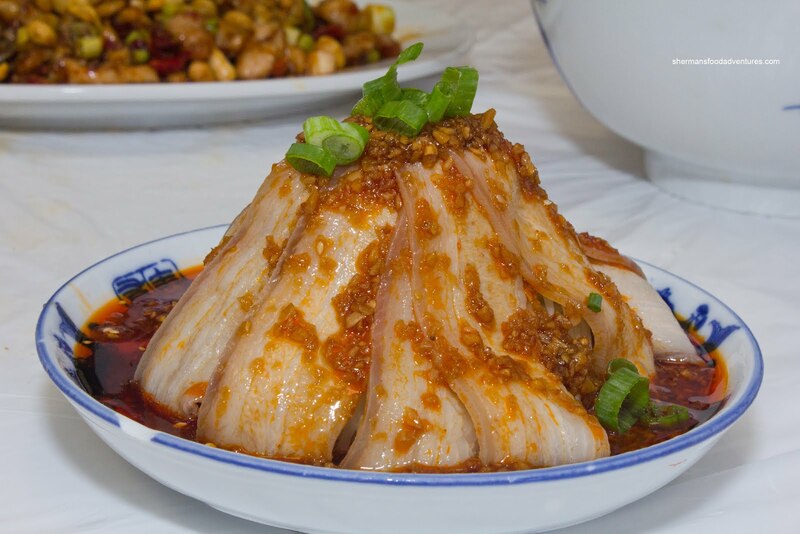 Whenever we're at a Szechuan restaurant, Rich Guy just has to have the Sliced Pork with Garlic & Chili Sauce. His favourite is the one from New Szechuan, but I think the one here was better. The thinly-sliced fatty pork had a nice jellied quality which had the right resistance. It was caressed by a garlicky and spicy chili oil sauce which completed the package. 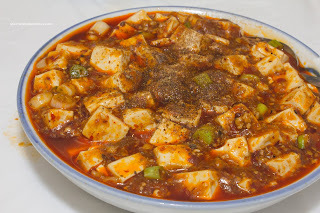 The spice-fest continued on with the Ma Po Tofu. The silky tofu was perfect as practically every piece was intact despite its delicateness. Much like the other dishes, it was laced with a good amount of chili oil and spiciness. Hidden beneath the oil was a thick meaty sauce that clung to the tofu. This was pretty good. Definitely not a wimpy version. For the kiddies, we got one non-spicy item being the Preserved Vegetable and Pork Noodles. 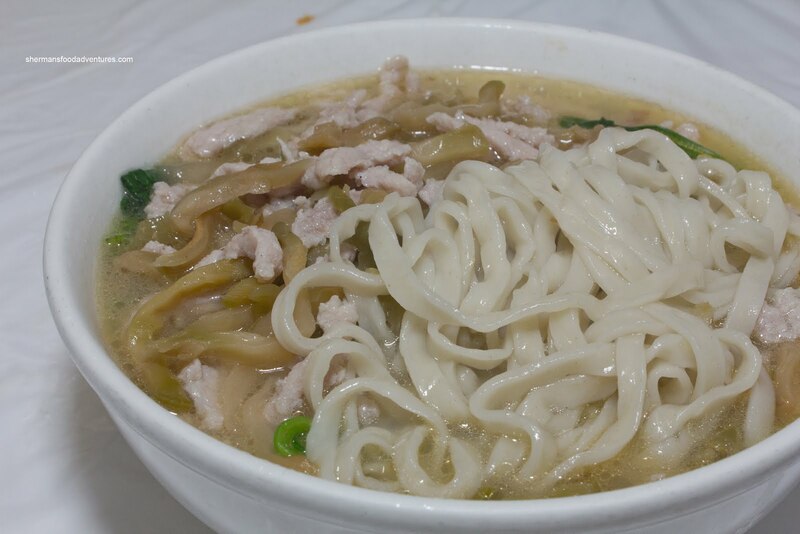 The fresh noodles were both al dente and plentiful. It was topped with lots of preserved veg and tender julienned pork. The kids seemed to enjoy it and in actuality, we liked it too since it acted as a reprieve from the other spicy dishes. 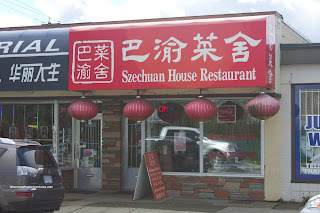 I guess it is pretty obvious that this is not a North American-style Szechuan restaurant. No sissy spices here, it's the real deal. If you enjoy burn-a-hole-in-your-tongue spiciness, this is the place for you (assuming you order those dishes). With that being said, we found the spiciness bearable since we could still taste the other flavours in each dish. Definitely a place we will try again. The Chinese place that was there before this 'restaurant' was far better. I've never enjoyed a place more than Golden Cabin. I'm not, nor have ever been impressed with this buy-out. It's a sell-out. Golden Cabin was good ! Almost forgot about them. I used to work at Metrotower and we'd walk there for lunch once awhile, dishes were like $5-6 IIRC. But we never ordered spicy dishes as some in our group weren't into the heat. I've never been to the previous restaurant so I cannot make any comments about that. I didn't mind SH. I thought the food was decent.